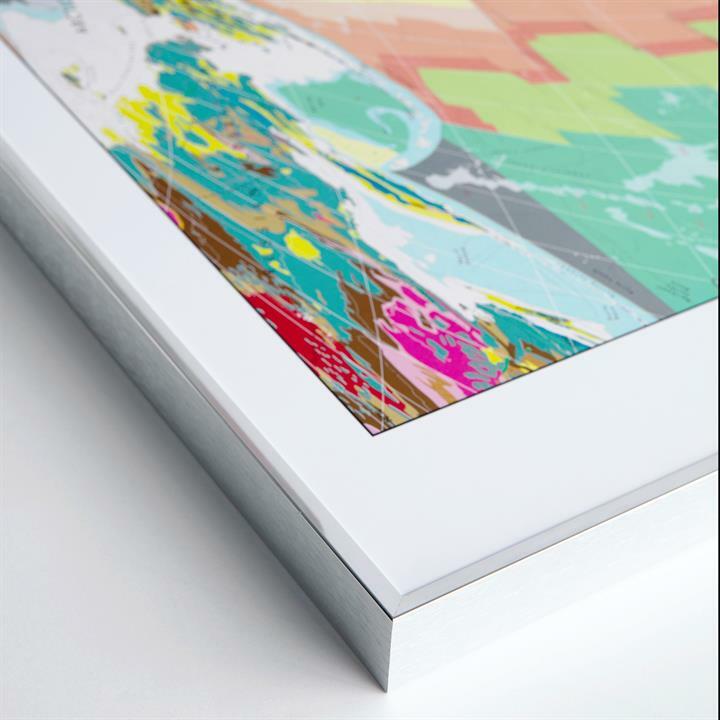 We treat our maps like oil paintings, and frame them without glass. 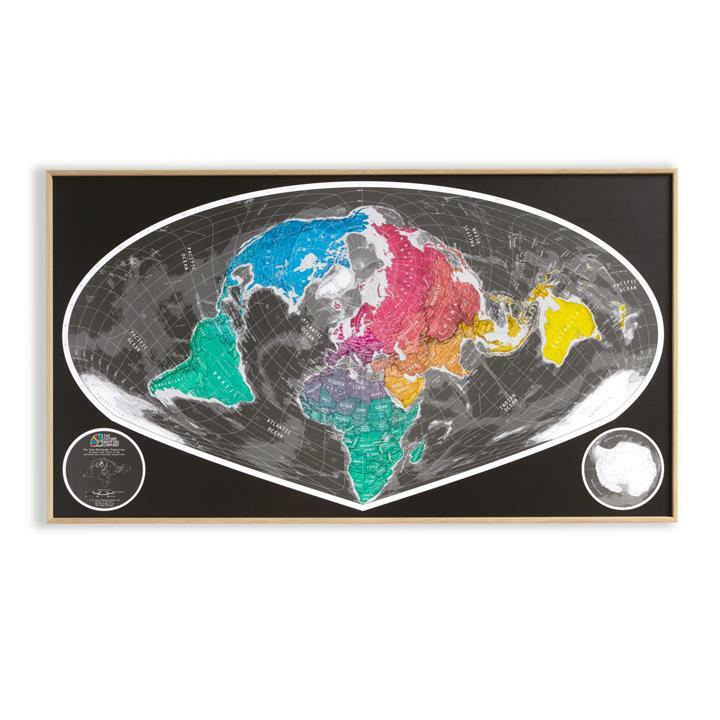 Light plays off the gloss varnished landmasses and metallic highlights so we don't want to mask this effect with glass. 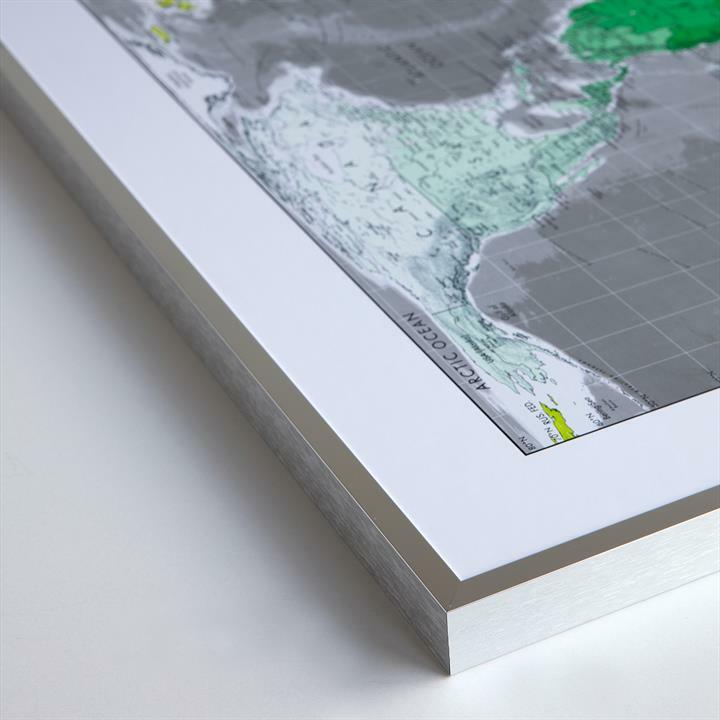 Our glossy white frames echo the playful, eye-catching gloss surfaces of the lithographic print and draw your attention to the subtle variations in texture. 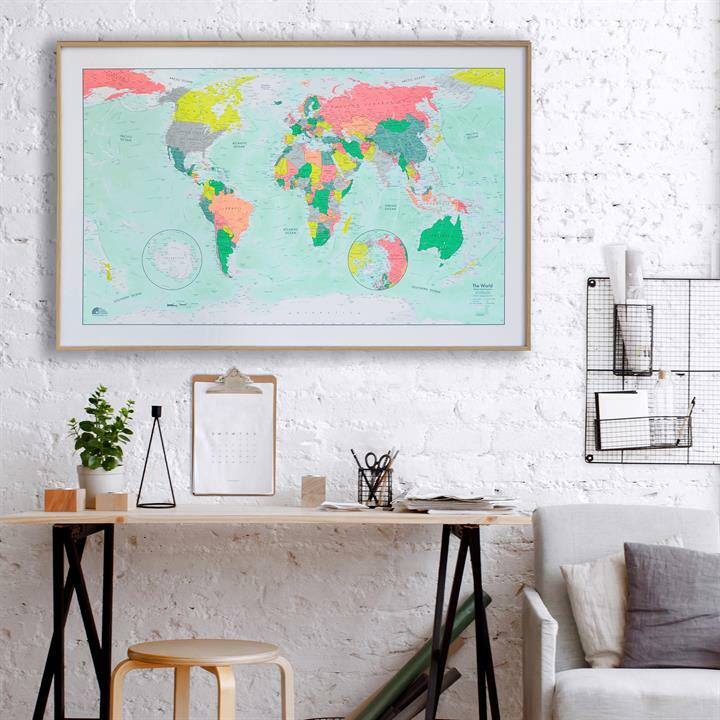 BEST FOR: We really like how the simple the gloss-white finish looks against our more intricate city maps and detailed maps of the continent. 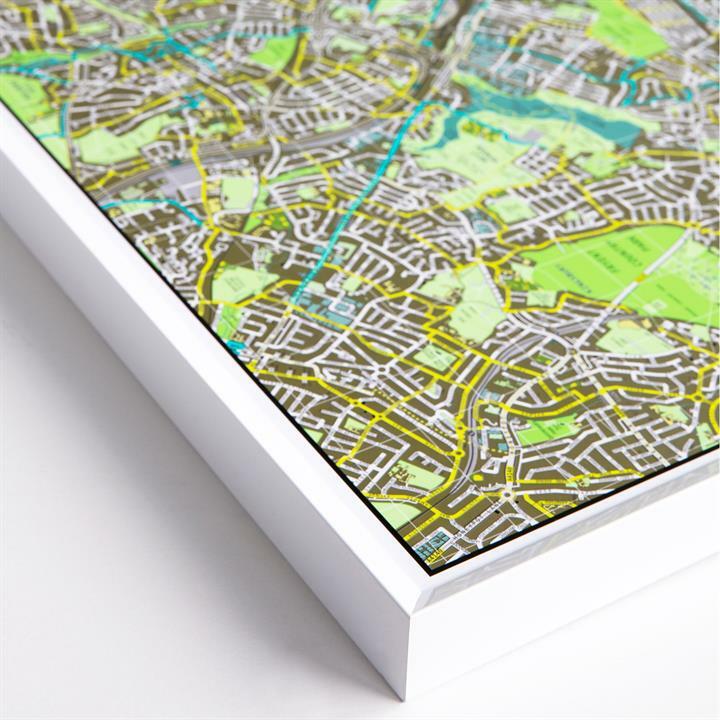 It's a clean, understated, contemporary frame that works in any setting. Our new oak frames are crafted in Germany and, like the others, are the highest quality Nielsen frames which are designed to be both light and strong. A contemporary flat-faced design, it is crafted from aluminium with an oak wood veneer. 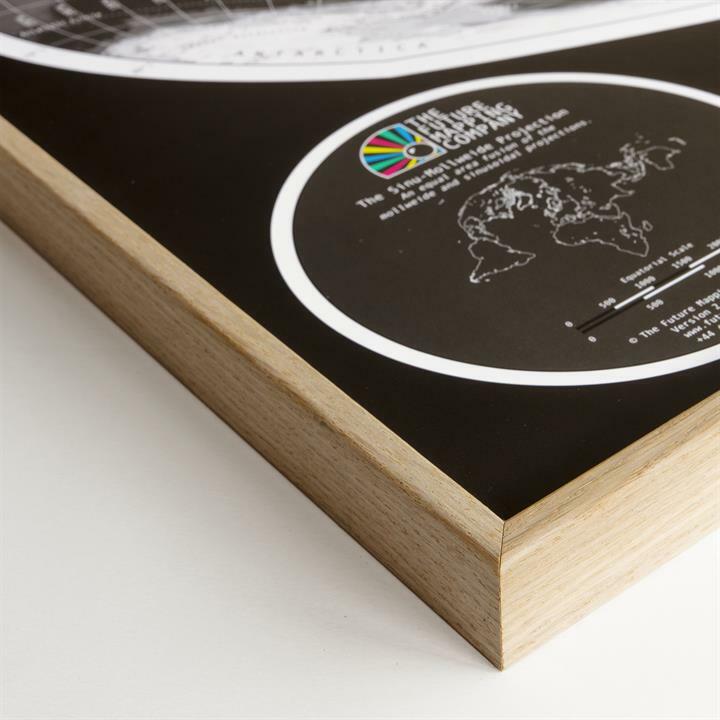 BEST FOR: This modern slim-line frame works beautifully with some of our most unusual projections. 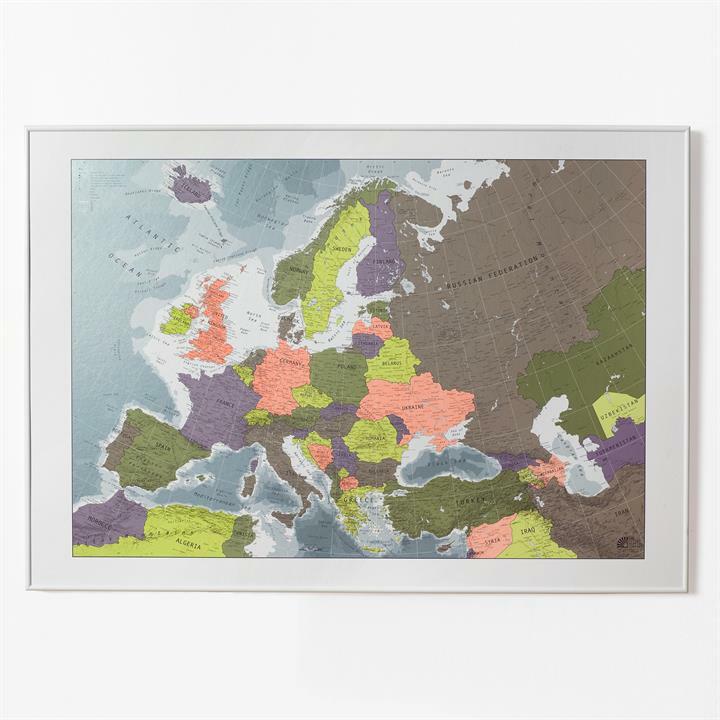 We also like it with our newest Winkel Tripel map with its bright contemporary colour palette. The clean oak finish gives it a pared-down Scandinavian aesthetic that works well in modern interiors. 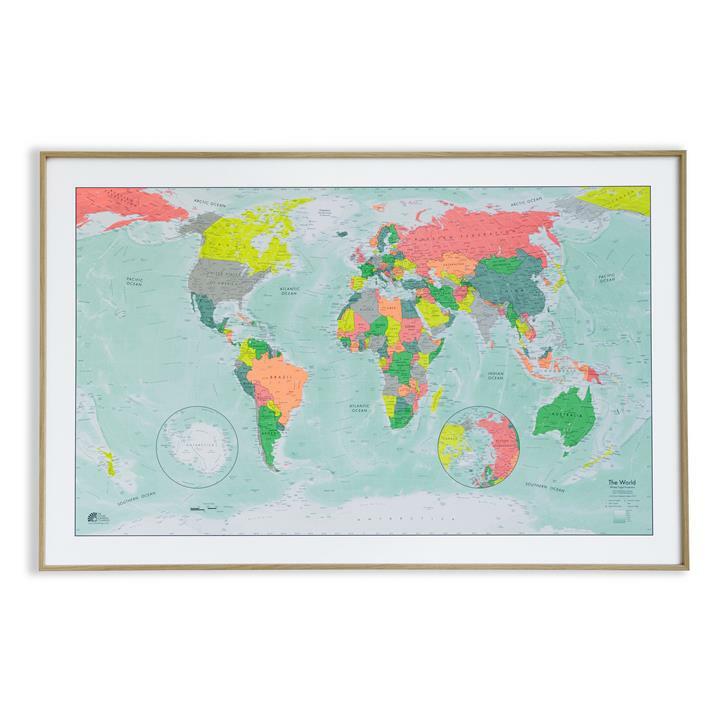 All our maps use metallic inks to highlight certain areas of the seas or landmasses. 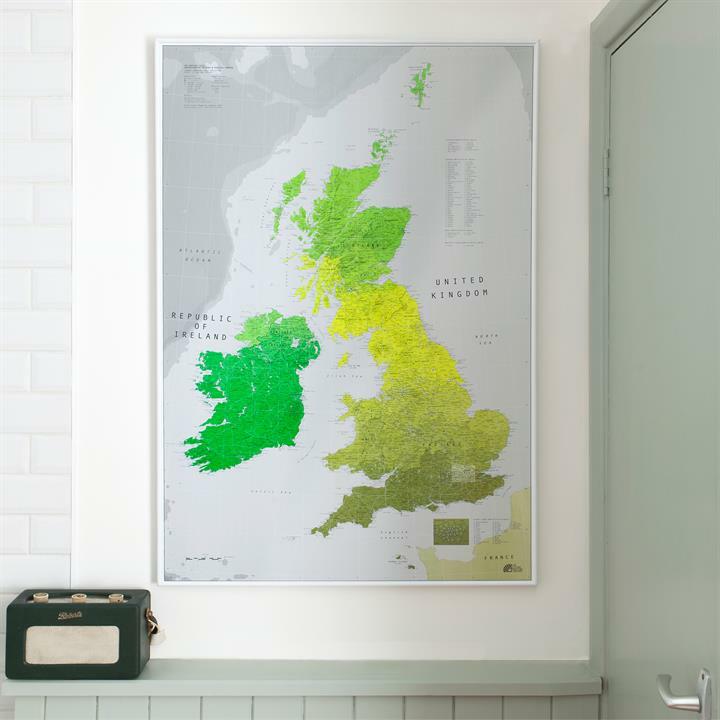 Our brilliant silver frames echo these and surround your map with a fantastic 'pop' of light. 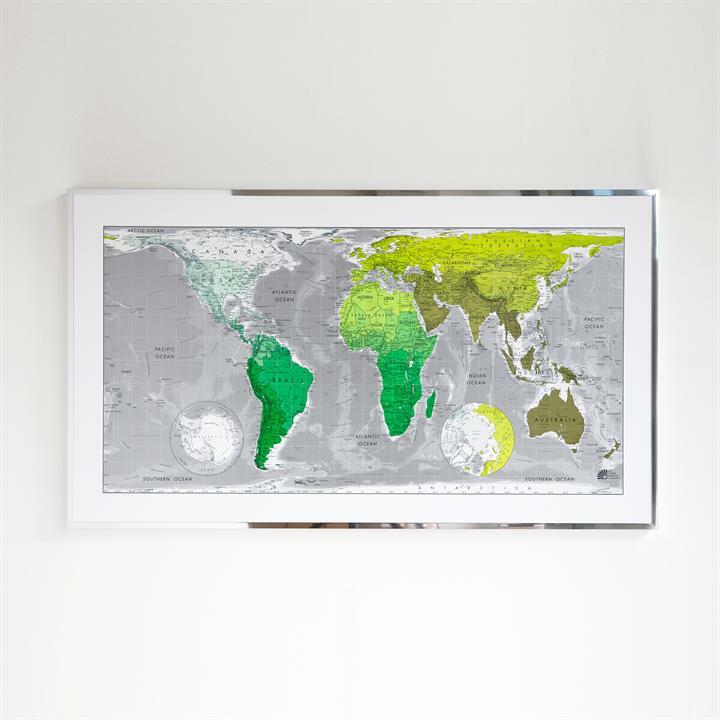 BEST FOR: A great choice for our world maps which have generous splashes of metallic inks in the detail of their oceans. 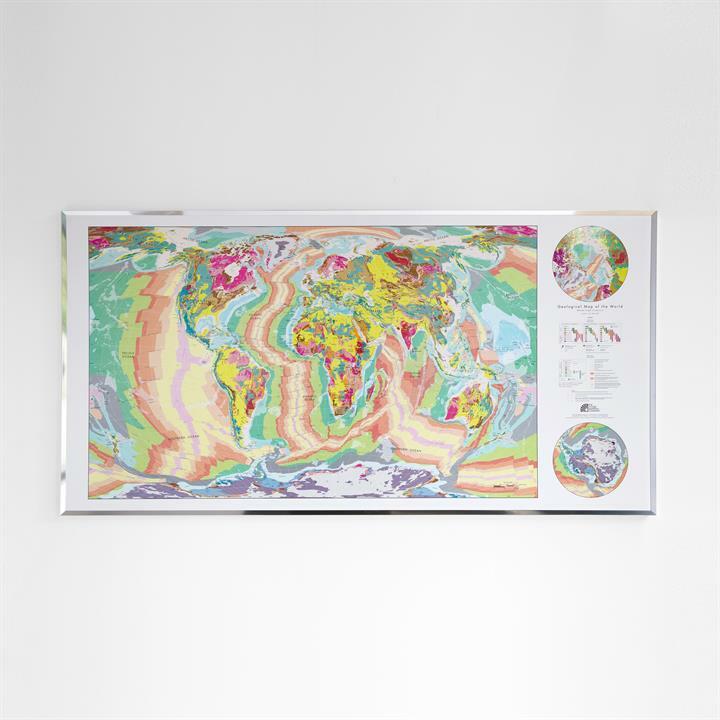 Our brilliant silver frame also works very well with our magnetic maps, matching neatly with the silver ball-bearings. Also great alongside metallic appliances in kitchens and bathrooms.